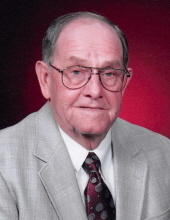 Robert “Bob” Lewis Leeper, 91, of Nevada, passed away Monday, January 21, 2019, at Rolling Green Village in Nevada. Bob has been cremated and a celebration of his life will be held at a later date. Bob was born September 15, 1927, in Washington, Iowa the son of Lewis and Florence (Williamson) Leeper. He grew up in Wellman, Iowa and moved then moved to Nevada where he graduated from high school in 1945. Bob attended Simpson College, and was drafted in the United States Army, serving until his honorable discharge in 1947. In May of 1955, he was united in marriage to Sandra Sue White. Bob worked many years for Coover Chevrolet in Nevada and Honda of Ames. In retirement, he enjoyed working at Ames Golf and Country Club. Bob is survived by his wife, Sandy of Nevada; his sons: Mike Leeper of Altoona and Steve Leeper of Cottage Grove, MN; his brother, Dave Leeper of Ames; and his granddaughter, Danielle Leeper of Nashville, TN. He was preceded in death by his parents; and two sisters: Janice and Betty. To send flowers or a remembrance gift to the family of Robert L. Leeper, please visit our Tribute Store. "Email Address" would like to share the life celebration of Robert L. Leeper. Click on the "link" to go to share a favorite memory or leave a condolence message for the family.